A New Friend on the Road! A lonely trucker, who loves his job, has recently invited a furry friend to join his lifestyle. A stray cat has joined Paul Robertson on his trucking adventures, and pair could not be happier! Percy and Paul are inseparable. Paul is a truck driver, as well as an animal lover. Although he loves what he does, the job can sometimes get rather lonely. More often than not, truckers can have trouble maintaining mental health. It’s these furry driving companions that keep truckers, like Paul, happy. Unfortunately, earlier in his career, Paul had a cat named Howie but he passed away at the beginning of 2017. This man was heartbroken. But recently, Paul has decided to give love another chance. Paul picked Percy up at a nearby animal shelter. 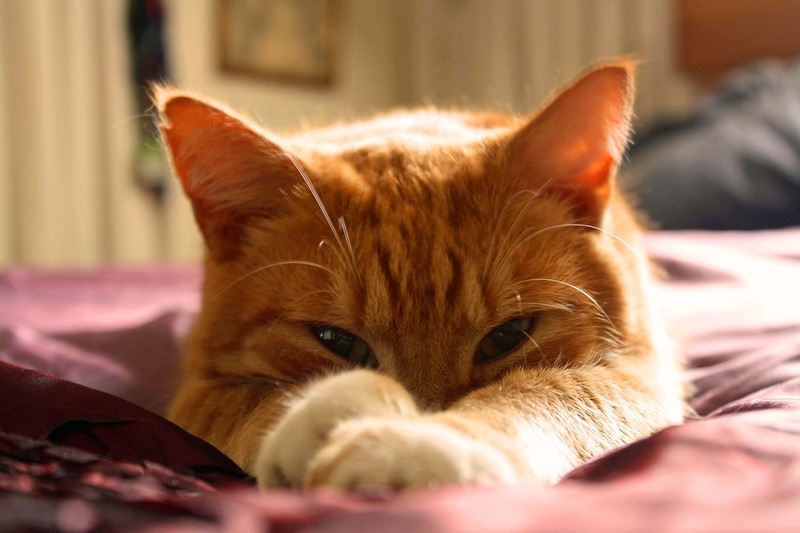 Sadly, the ginger cat was once a stray on the streets, so he has a few injuries and scars. Also, he’s missing one of his canine teeth! But this doesn’t stop Percy from being a sweet companion for Robertson. Luckily for both Paul and Percy, the cat adapted to the trucking lifestyle very quickly and he’s perfectly okay with long trips! They’re trucking companions, as well as a family. Paul and Percy’s dynamic duo is inspirational for those looking for companionship in their life! This heart-warming story is a good reminder for those looking for companions to not rule out shelter pets! If you want to see a video of one of Percy and Paul’s uplifting adventures, you can check out his Facebook! ← Meth May Be in Your Neighborhood!